The part of any vehicle is the suspension, so we have custom designed the suspension to fit the Vigilante, BEAST & ANIMAL buggy. The Front & Rear struts in this kit are made by FOX USA and have rebound damping in the REAR that stops a heavy arm and wheel ripping the rear axle off the buggy like on the Chinese vehicles. 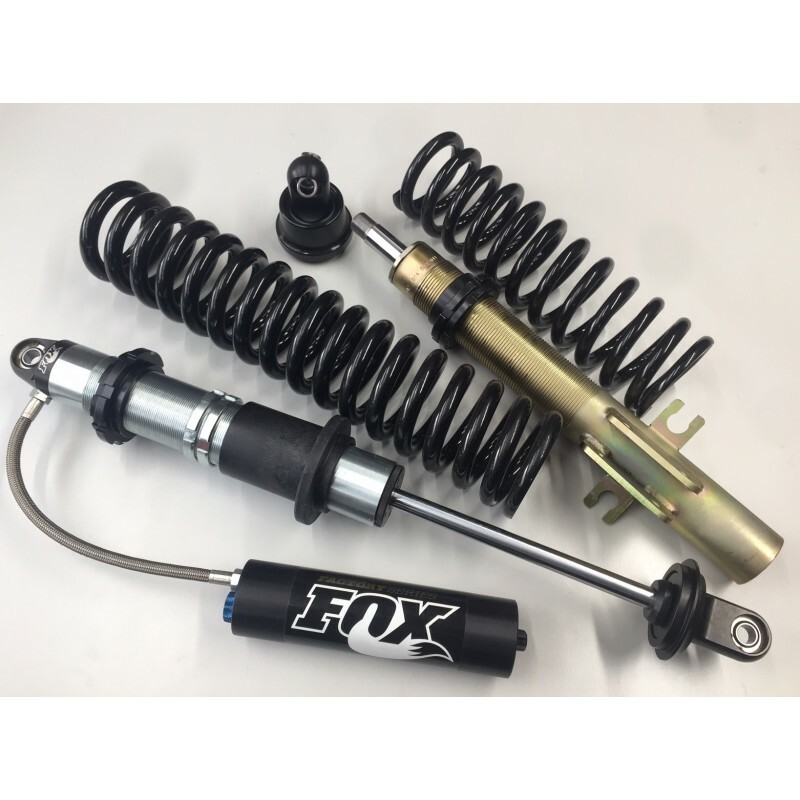 The front shocks are very well made coil overs with high end seals and fittings. The custom made suspension can eaisly be adjusted to suit the individual vehicle and weight to give the best on and off road driving experience. The front suspension unit is a fully customised Mc Pherson strut with a Blitzworld own design top mount with intergral bearing and with a choice of spring weights available. The rear suspesion shocks are 'FOX' nigtogen rebound damped units that place the rear wheels back down on the ground when the buggy is jumping around. 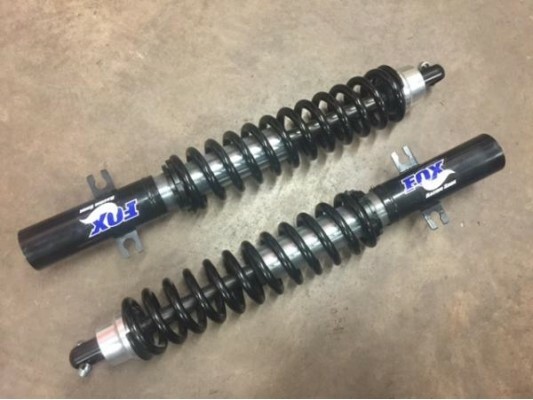 These shocks have a built in adjustmaent for road and off road use to make them hard or soft. 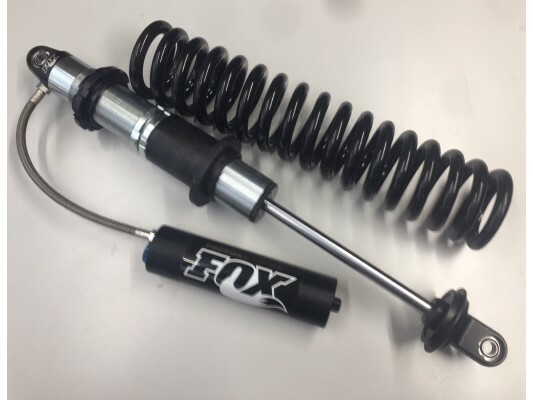 We now offer an uprated FOX Front Mc Pherson strut for the Vigilante buggy has custom made Mc P.. 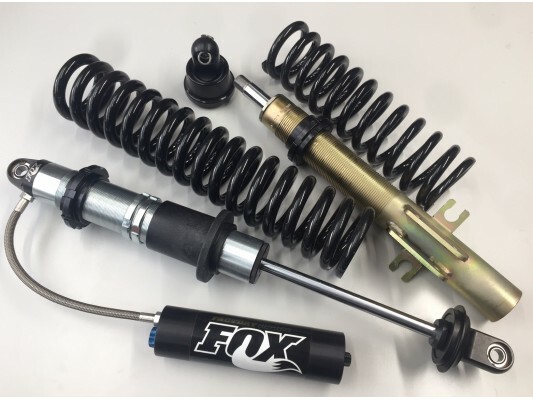 The NEW FOX custom built Nitrogen Gas rear suspension struts, come complete with springs ready to fi.. The part of any vehicle is the suspension, so we have custom designed the suspension to fit the Vigi..